It started with an idea. It was perhaps a dream, maybe a vision, but the idea was insane. He left in secret, because he was certain that not even his own father would understand. But he knew that he knew that he knew, that his God was with him and would give him victory. And so he acted on that idea, that dream, that vision, and went out to face the enemy. Have you ever had an idea, dream, or vision that you know in your heart is from God, but it just doesn’t seem to be that popular with your peers? If you are familiar with the book of 1 Samuel, you might say the above story sounds like David marching out to face Goliath. But not long before David came on the scene, there was another soldier who acted, not unlike David, completely irrationally. If he could just sneak over to the Philistine camp, then he and his armor bearer could engage the enemy. Yes, there were only 2 of them, but Jonathan believed for a miracle. He said, “Perhaps the Lord will act in our behalf. Nothing can hinder the Lord from saving, by many or by few” (I Samuel 14: 6 NIV). So they climbed up a pass between two vertical cliffs, to the sound of openly jeering Philistine soldiers. They were certain of their stance. Have you ever felt this way? Incredibly full of confidence in what a God is about to do, yet aware that others around you might not see it the same way? In today’s world, this is not a politically correct dream, not even in the church. Had I been born 20 years earlier, I might have grown up being advised to suppress any dream outside of being a wife and mother, but this wasn’t my experience. When my daughter was a newborn, a very loving and well-intentioned Christian asked me, “What is your biggest dream?” I answered very confidently, “I’m living it right now. To be a mom.” This person replied, “Well, a dream is something that you do for yourself, not what you sacrifice for your baby.” I gave this person what I sensed they wanted, sharing with them some more artistic and creative goals. But later, I replayed the conversation in my mind. I was passionate about the arts, and had some specific goals of professional success. But for so many years, these things were much more possible than the impossibility of the number one on my bucket list. Eleven years earlier, I sat alone in a doctors office, repeating the mind-numbing phrase I had just heard. “You will never be able to have children naturally.” He wasn’t the first doctor to tell me this; I would hear this message numerous times for years to come. But this time the words hit deep, and I found myself sinking into despair. There was an unltrasound monitor in the corner; the squiggly grey lines danced back and forth on the screen. I will never forget what happened next. The image on the screen changed, just like channels on TV. Now the image I saw was in color and the picture was clear. It was a newborn baby, swaddled in a soft pink blanket, staring back at me. There was no question about the vision, I was staring at my future daughter. I realized that God was making a promise to me in that moment. He didn’t have to speak any words, and I don’t recall saying anything to him; it was just something that we both knew. And I knew, years later as I held my newborn daughter, that I was indeed living out not only my biggest dream, but the dream that could not have happened without a gigantic miracle. The kind-hearted individual who asked me the question undoubtedly agreed that my daughter’s life was a miracle, but could not fathom that something as simple as motherhood could be the fulfillment of a life long dream. 1. Seek Wisdom, not logic. “Live long and prosper!” The iconic Vulcan salute created by Leonard Nimoy, who played Spock in the original Star Trek series and subsequent films, presents a strange dichotomy. 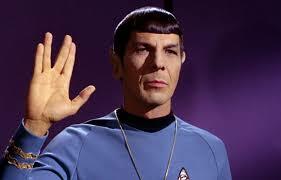 Spock operates out of logic almost entirely, yet introduces a salute that is void of it. Logic would say something like, “Your chances of succeeding in life are 30%.” Yet Spock, who freely projects statistics about the likely success or failure of a mission, is at the same time, telling others to “prosper.” How illogical. Nimoy, who was raised attending an Orthodox Jewish synagogue, came up with the greeting when remembering a blessing given to the congregation by one of the Rabbis. He said of the fans who make the salute, “People don’t realize they’re blessing each other with this”(The Jewish Roots of Leonard Nimoy and ‘live long and prosper’). Think about the people you go to for advice. Are they considering your dream from a place of wisdom or logic? Where logic exists on its own, faith cannot be present. Wise advisors will not call a bad idea good, but they also will not consider a good idea bad, simply because the odds are against it. Wisdom sees God’s perspective, not the world’s alone. Will this person project fear in the name of logic, or will they speak life over you? Seek advice from those whose heart for you is reflective of Psalm 20:4, “May the Lord give you the desires of your heart and may all of your plans succeed”(NIV). If you are confident that someone truly wants this for you, you’ll be able to take all of their wise counsel, the compliments and the criticisms, to heart. 2. Trust God to do the impossible. “Jonathan climbed up, using his hands and feet, with his armor bearer right behind him. The Philistines fell before Jonathan, and his armor bearer followed and killed behind him. In that first attack, Jonathan and his armor bearer killed some twenty men in an area of about half an acre”(I Samuel 14:13-14 NIV). Jonathan knew that nothing would hinder God from saving, and the odds were definitely against him. But he trusted God to do the impossible, and that’s exactly what happened. If you have a pressing dream, you might see elements in it that are entirely possible. That’s a good foundation for launching a plan. But if you’re like me, you might also see aspects of your dream that seem out of reach. Try to visualize the possible elements and impossible elements working together, instead of remaining on separate ends of the spectrum. Move forward with the possible elements while at the same time, have faith in God to do the miraculous. Jonathan did the possible by climbing up the ridge with his armor bearer and one sword, and God did the impossible by helping them defeat 20 men. When your peers don’t support your dream, remember that you are not in this alone; the Holy Spirit goes with you, ready to do the impossible. In 1911, a French military general by the name of Ferdinand Foch said this about the Wright Brother’s aeronautical invention: “Airplanes are interesting scientific toys, but they are of no military value”(7 world-changing inventions that were ridiculed when they came out). While the Wright Brothers had been gaining notoriety since the first flight in 1903, by 1911, there had been few successes with military testing. This would quickly change in less than a decade, proving Foch wrong. Have you ever put the brakes on a dream after hearing one very harsh criticism? I have. But the truth is that if everyone thought that every idea was a sure-fire success, there would be no such thing as risk. And risk is more than just financial. Risk involves revealing yourself, opening yourself to criticism, and opening yourself to rejection. 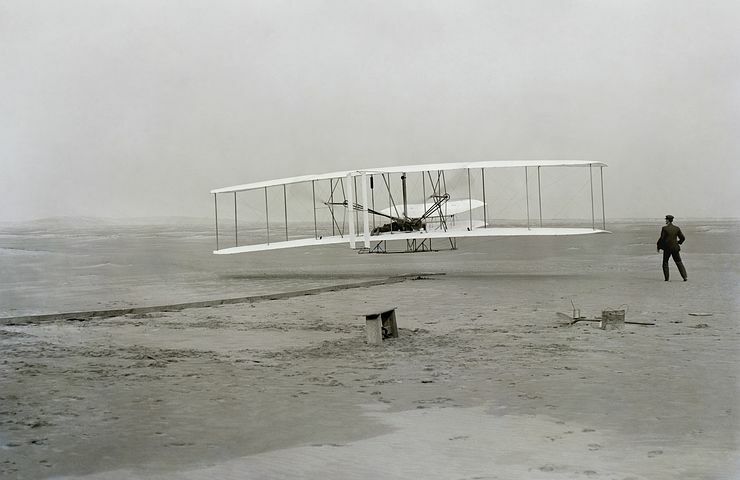 The Wright Brothers did this and today, we are all reaping the benefits of that risk. 4. Thank God for the breakthrough, even before you see it. When my husband and I had been dating a couple months, I decided to tell him about my health problems and the prognosis’ I’d received over the years. Before things were too serious, I wanted him to know that having kids might be an uphill battle. I expected him to say, “I’m so sorry,” or “that’s okay,” but was stunned by his answer. He didn’t miss a beat: “I believe Jesus is going to heal you,” he replied confidently. It had been years since I’d thought about the vision I had in the doctors office, but all of the sudden it flashed in my mind. It wasn’t just me. There were others out there who believed that God would do a miracle, and Pete was one of those people. If there’s any area of your dream where you find yourself pleading, consider thanking God now for the breakthrough that is coming. Others might not understand this right now, but when it happens, they’ll remember your faith. 5. Believe that your dream is bigger than you. The Israelite army was in such disarray that many had deserted and joined the enemy. But when Jonathan and his armor bearer took down 20 Philistines, a panic came over the entire army: in the camps and fields. There was, “a panic sent by God,” and an earthquake(I Samuel 14:15). The Philistines were, “in total confusion, striking each other with their swords”(I Samuel 14:20). They quite likely thought that fellow soldiers with Israelite heritage were betraying them, and didn’t trust anyone. Jonathan’s intention may have been nothing more than taking down 20 Philistines and gaining an outpost. But his act of faith released a chain of events that set the entire Philistine army on the run(I Samuel 14:22). Two guys with one sword won not just a skirmish but an entire battle. No matter how big your dream might already seem, have you ever considered that God might want to take it far beyond what you envision? If the Holy Spirit has placed a dream in your heart, there is already a spiritual battle taking place over your situation. Your battle is not a physical one, but like Jonathan, you carry one sword: the sword of the Spirit(Ephesians 6:17). Pursuing a dream and longing for its fulfillment isn’t selfish when you carry this sword. God’s perspective is always greater than the here-and-now, but stepping out in the here-and-now just might cause you to see the immense plan that he has prepared for the future. There are some people who may never support your dream, and this can be emotional. But if you believe that your dream is going to impact generations, then the splendor of what is to come will be worth it. Thank you, Michelle, for this wonderfull testimony to God’s faithfulness. Thanks to your faithfulness to God, we have two beautiful and amazing grandchildren . I remember many of my peers being skeptical of my plans for a product that could help people. That product and company lasted for 31 years, due completely to God’s faithfulness to us. We can never trust to ourselves alone, but we can always trust God to complete His promises made to us. This is SO GOOD Michelle! You are such a gifted writer and you have such incredible insights into the Scriptures. This was such a great reminder for me tonight! I am so proud of you and Pete for following your God-given dreams and living in light of His miracles in your lives daily.